How do I unsubscribe from the free e-letters? How do I change the email address to which my Mauldin Economics e-letters should be sent? Why have my e-letters stopped coming, and what can I do about it? Where can I find the Thoughts from the Frontline archive? Where can I find the Outside the Box archive? How do I change the email address to which accredited investor e-letters should be sent? I’m interested in having one of John’s partners talk with me about investments; whom should I contact? Can John advise me via email about my investments? May I have permission to repost part or all of one or more of John’s e-letters? I’m having trouble reading text or graphics in the Mauldin Economics e-letters. What can I do? Why are graphics in the Mauldin Economics e-letters not appearing on my screen? Can I read the e-letters on my iPhone, iPad, or smartphone? Are John and Tiffani related to Bill Mauldin, the famous WWII cartoonist? How do I unsubscribe from a free e-letter? At the bottom of every e-letter there is a link to unsubscribe. Or you can go directly to the unsubscribe page at http://www.mauldineconomics.com/opt-out. At the bottom of every e-letter there is a link to change your address. Or you can go directly to the address change page at http://www.mauldineconomics.com/change-address. 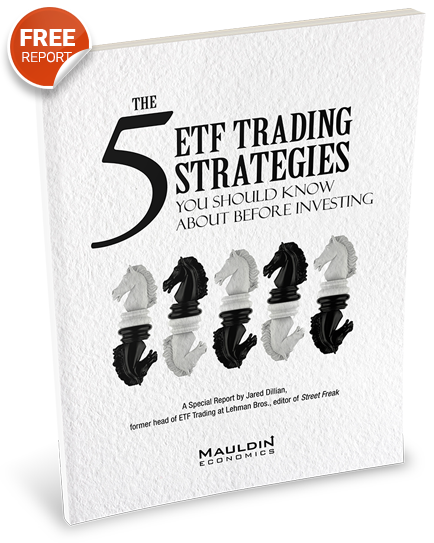 Why have my Mauldin Economics e-letters stopped coming, and what can I do about it? Thoughts from the Frontline is archived at http://www.mauldineconomics.com/frontlinethoughts. Even if you’re already a subscriber, you’ll be asked to input your email address again (but that won’t cause an extra copy of the e-letters to appear in your mailbox). Outside the Box is archived at http://www.mauldineconomics.com/outsidethebox. I’m interested in having one of John’s partners manage my investments; whom should I contact? Mauldin Solutions LLC is an advisory firm that was created to provide investment advise through the exclusive partners that John Mauldin works with around the world. Please go to http://www.mauldinsolutions.com and complete the appropriate forms to request more information. US regulations prohibit John from giving specific investment advice by email. Please go to www.mauldinsolutions.com for more information. May I have permission to repost part or all of one or more of John’s Mauldin Economics e-letters? If you would like permission to post John’s Mauldin Economics e-letters, please contact us to set-up an affiliate relationship http://www.mauldineconomics.com/contact-us. I’m having trouble reading text or graphics in Mauldin Economics e-letters. What can I do? You can read them on our website http://www.mauldineconomics.com. In the upper right-hand corner of each article we’ve provided you with the ability to increase the font size, this is represented by an image of 3 A’s, just click on a larger A to increase the font size accordingly. Also, most browsers will allow to zoom and make the words and graphics appear larger. Why are graphics in e-letters not appearing on my screen? The HTML email sent to you is being converted to plain text, either by the email program on your machine or by your email provider (ISP). Your email program is turning the images off, and you need to turn them on (allow them to be displayed) for that message. The web server that is hosting the images is temporarily down. To read the letters we suggest you just go to the Thoughts from the Frontline archive at http://www.mauldineconomics.com/frontlinethoughts and read them there, which lets you adjust the screen and turn it sideways. He was a distant cousin, adopted into the family.